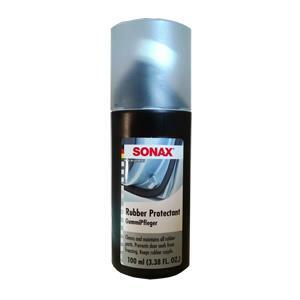 SONAX Rubber Protectant (GummiPfleger) cleans and refreshes rubber components and maintains their elasticity. Extends the working life of the rubber and freshens up colors. Perfect for door seals. Effortlessly cleans and restores the original appearance of tires and floor mats.